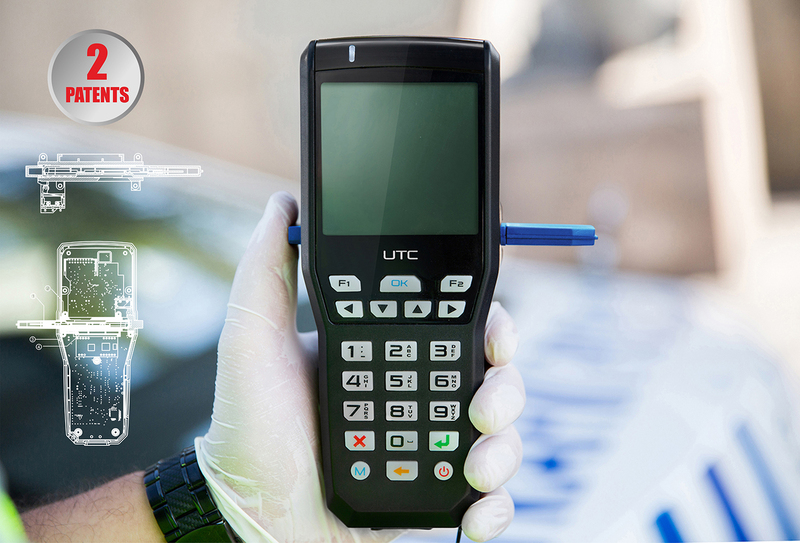 UTC is a device designed to detect the use of prohibited substances from human saliva and to determine the type and usage rate of the prohibited substance. 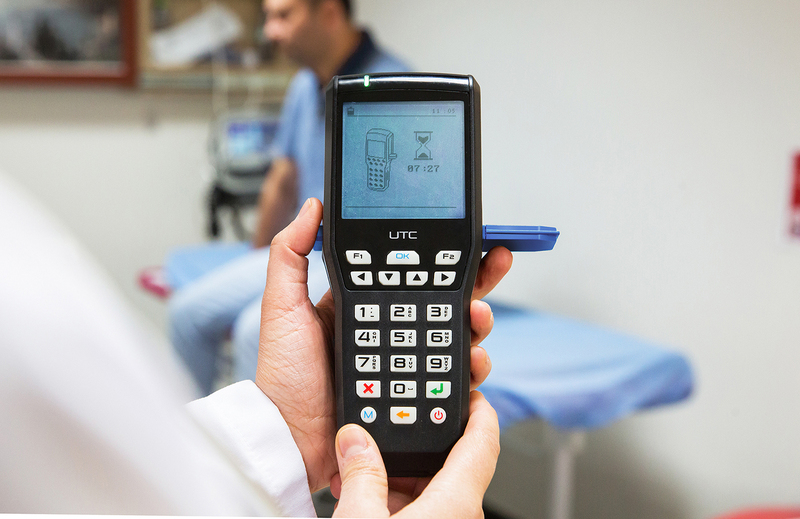 UTC is the one and only drug testing device designed and produced in Turkey. Saliva sample is taken through the disposable test kit. 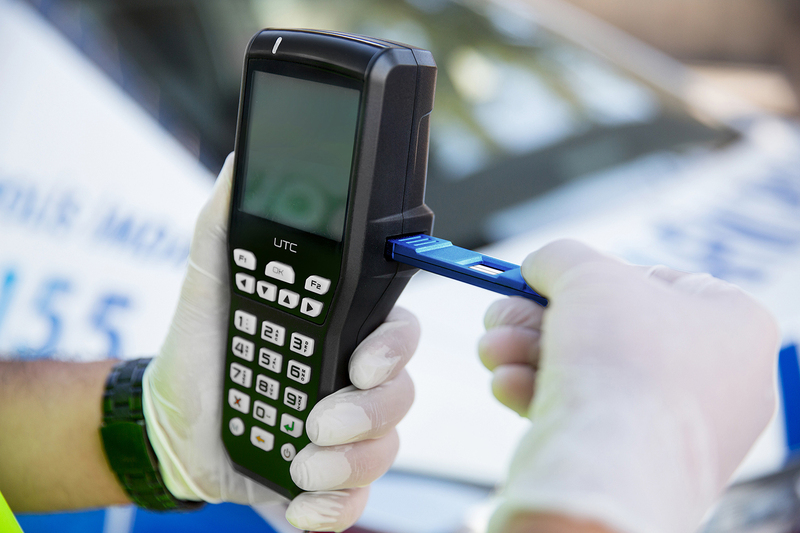 The prohibited substance usage is tested on the UTC device. The sampling kit is designed in such a way that it does not allow incorrect placement. In the other existing products on the market, the test kit is not fixed on the device. In that case, the device must remain immobile during the reading and testing process so that the sample does not flow or displace. This period may take quite long time and that limits the freedom of movement of the user. On the other hand UTC locks the kit on the device and prevents the sample from leaking with the help of innovative fixing mechanism and enables the user free. When considered on this context, UTC is the only mobile device in real. The product can both be used while in the vehicle or on foot. Thanks to the specially designed testing kit lock mechanism UTC provides freedom of movement to the user. Fixing the kit by this mechanism maximizes the reading efficiency. UTC has became a pioneer in the industry while creating new foreign markets. On the other existing products the data entry is done via a printer or a computer. 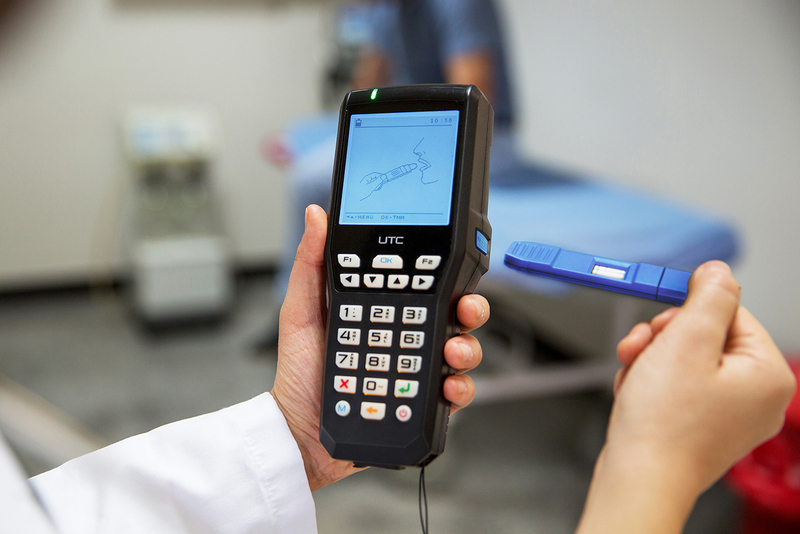 The alphanumeric keyboard of UTC enables data entering via the device and increases productivity. The product provides comfort in both mobile and desktop usage.